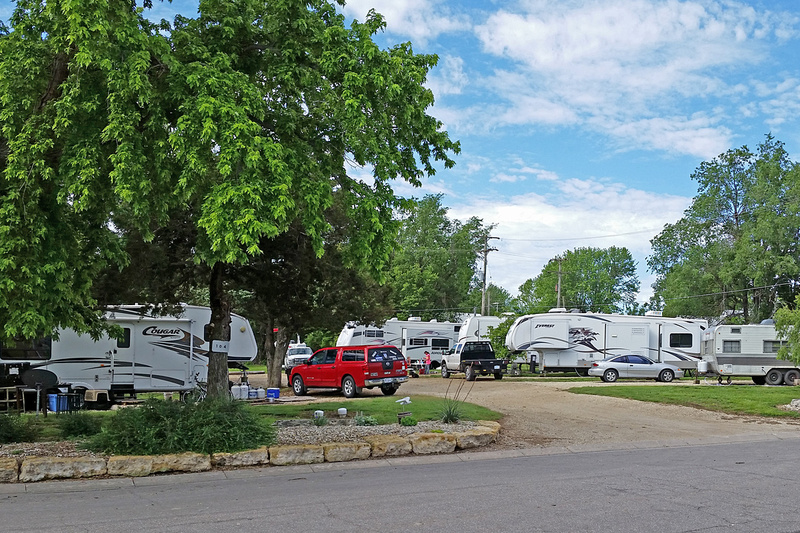 Shandy’s Lakeside RV Park is the small, quiet alternative for big-rig camping near Milford Lake, the largest man-made lake in Kansas. We are close enough to the lake for easy access but far enough away to avoid the crowds. 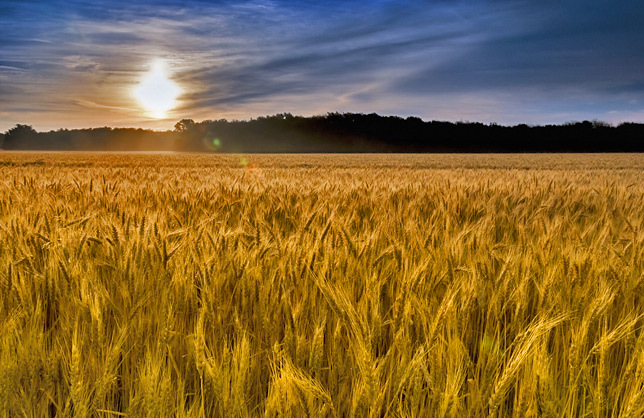 We also offer one of the most convenient places to camp for visitors to nearby Fort Riley, Kansas State University, or one of the many other businesses and institutions that call Geary County home. 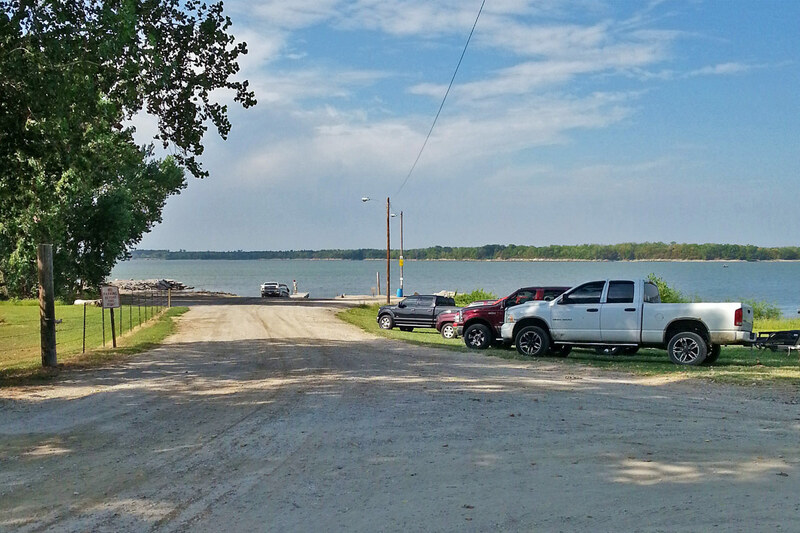 If you are a contractor doing business with Fort Riley (only 10 minutes away) or Kansas State University (35 minutes away), we like to think that Shandy’s Lakeside RV Park represents your ideal choice in camping accommodations. 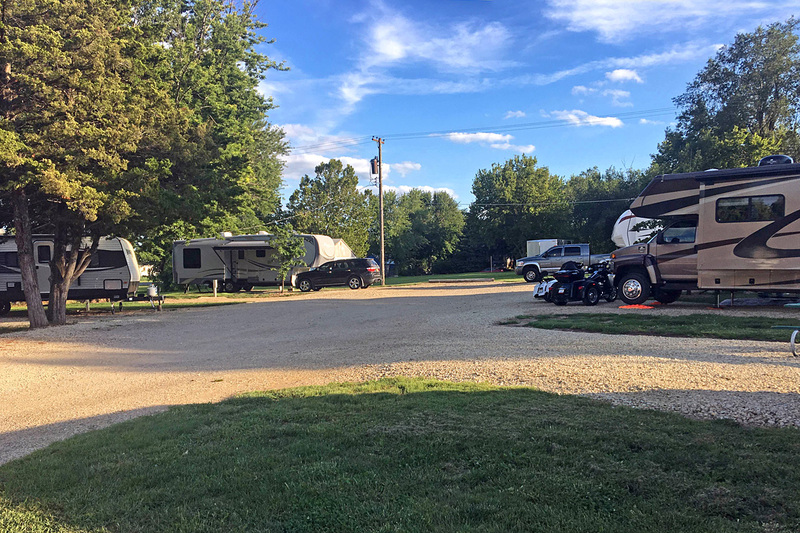 Unlike the larger campgrounds in the area, with only 8 campsites, Shandy’s is a compact alternative and almost like having your own private park. We cater to the owners of self-contained big rigs who have no need for playgrounds, swimming pools, restrooms or laundromats. What we offer are large (45 x 60 ft. or 45 x 75 ft.) full hook-up (water, sewer and 50-amp electric) sites with level rock pads that allow for the easiest of back-ins. Each site also includes a large lawn area and a clear sky view for your satellite dish. 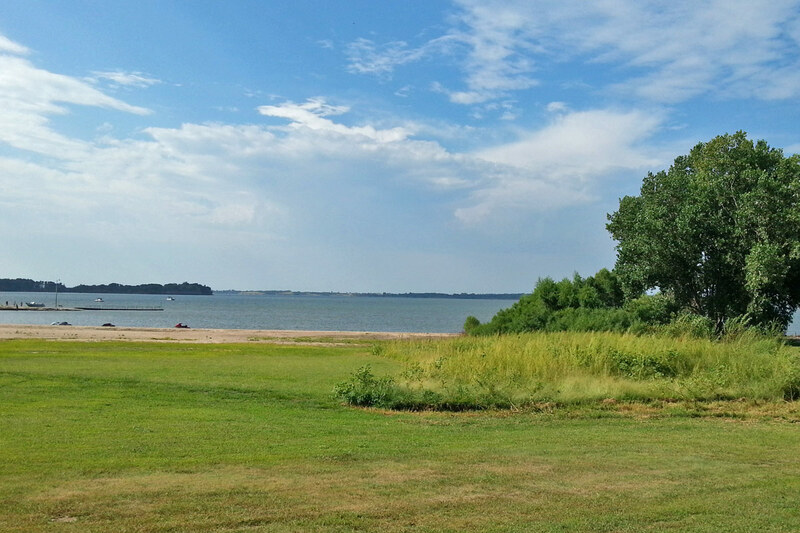 Shandy’s Lakeside RV Park is located just a quarter mile from the shores of Milford Lake. 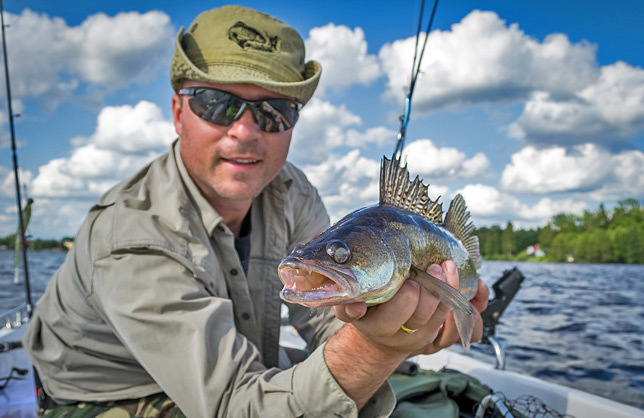 With 16,000 acres of water, the reservoir is a popular destination for anglers looking to catch trophy walleye, crappie, catfish, and largemouth, smallmouth and white bass. The surrounding watershed includes over 20,000 acres of diverse wildlife habitats that attract hunters and nature-lovers alike. Even if you are not here for the fishing or outdoor sports, you will love the location and the legendary sunsets over the lake. Many of our campers come for longer-term stays and think of Shandy’s as the next best thing to home. A recent guest commented, “I enjoyed staying at a smaller RV park with my family. It is well maintained, and there are so many things nearby to do. Everyone is very friendly. Overall it was a great experience. We have stayed several times and plan on returning soon.” Another wrote, “Based on my needs, this was an excellent spot for me. Peaceful. Easy walk to everything I needed after a long day at work. If I return to the area, I’ll return to Shandy’s Lakeside RV Park. Doug Shandy knows how to provide a great home on the road.” When you stay with us, we think you will agree with these folks. Many of our guests choose Shandy’s when visiting or conducting business with nearby Fort Riley or Kansas State University. If you like our park, you will love our very affordable fees. Overnight stays are just $30.00; weekly stays are $150.00; and monthly stays are only $450.00. Shandy’s is open year round for your convenience. Call for reservations: (785) 463-5550 or (785) 223-1589. Shandy’s is a small operation and we try to keep our camping fees to a minimum. For this reason, cash payments are preferred. 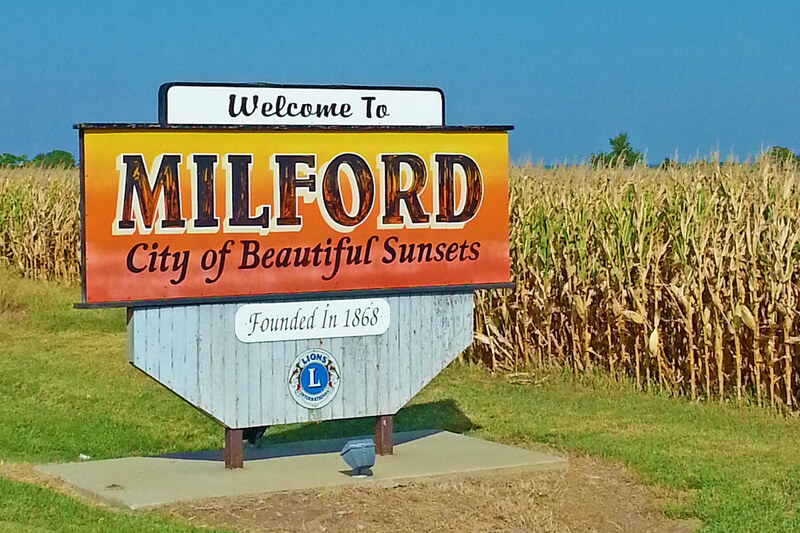 We look forward to welcoming you during your next visit to Milford and Geary County, Kansas!